In 1984, she graduated from the Karaganda order of the red banner of Labor Polytechnic Institute, specialty “engineering” with the qualification of engineer-teacher of engineering disciplines. Since 1988, she worked at the Karaganda pedagogical Institute as a teacher, senior lecturer. Since 1989 – at Karaganda state University. After Buketov E. A. – lecturer, senior lecturer, since 2004 – head.Department “General technical disciplines and methods of labor training”. In 2003 she defended her thesis for the degree of candidate of Sciences in the specialty 13.00.08-Theory and methods of professional education; in 2006 – awarded the title of associate Professor of pedagogy. Since 2008, I have been working at Karaganda state technical University as head of the Department “Methodology of management and entrepreneurship”, since 2009 – Director of The research Institute of professional technical education and head of the Interdisciplinary center for advanced training of teachers of technical and vocational education, since 2014-Director of the Center for engineering pedagogy (CIP). Since 2012 – academician of the Eurasian international Academy of ecology and life safety. In 2013-the owner of the title “Best teacher of the University in 2013″ of the Ministry of education and science of the Republic of Kazakhstan. In 2013, she was awarded an honorary diploma of the Minister of education and science of the Republic of Kazakhstan for many years of work in the field of education and upbringing of the younger generation. He has more than 100 published works, including monographs, textbooks, copyright certificates of intellectual property. 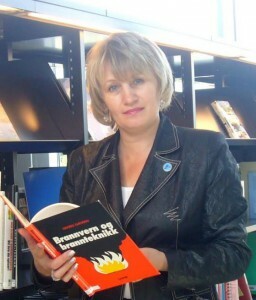 In 2011, Smirnova G. M. was awarded the title of International Society Of engineering Pedagogy (IGIP) – international teacher of engineering disciplines”. In 2015 acted as a national expert in the DCI Programme of the European Union to the Republic of Kazakhstan project: GIZ/GOPA “Support to vocational education in the Republic of Kazakhstan” Component 6 “Internship” — organization of training of teachers Allegedly for the study of the experience of the implementation of dual training and consultant at KSU “Karaganda machine-building College” in the framework of the project “Modernization of technical and vocational education” under grant No. 109 dated 21.11.2013, funded for the odd loan from the International Bank for Reconstruction and Development.